Other publications, including U.S. News & World Report and The Orange County Register, have also curated lists of top-performing high schools over the years, using their own respective formulas. While no ranking system can tell the full story of what goes on inside a school or classroom, each adds something to the discussion of educational success. 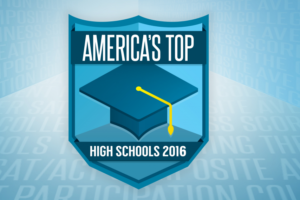 IUSD schools have been consistently recognized.